Ashurst Caravan Park and Campsite offers camping for all the family in a beautiful woodland setting. Set on level ground in a woodland glade camping here means you can enjoy the open ground but also, if we ever get a decent, hot summer, relax under the shade of ancient oakwood. 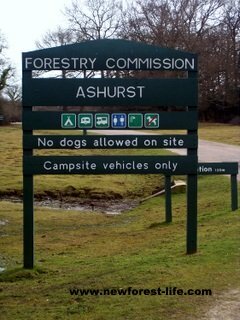 Ashurst Caravan Park is only 5 minutes walk to the local village of Ashurst where you can visit the shop , or in the next village over, have a drink in the local pub The Gamekeeper at the nearby hamlet of Woodlands. We arrived at The Gamekeeper Pub recently and met Mark, the friendly landlord. 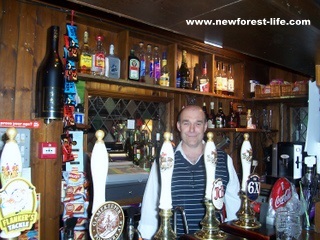 Mark, Fiona and Alexandra run this pub and I would describe it as a homely, welcoming New Forest pub. It was full of local drinkers and diners - they all seemed to be enjoying the lovely meals and were all tucking in well and having a relaxed catch up with either friends or perhaps family. This isn't a New Forest themed pub and thank heavens for that! 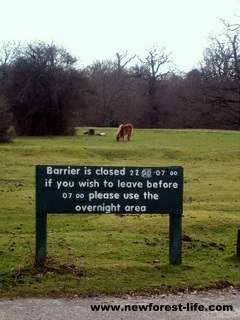 Public transport is an option at Ashurst new Forest campsite. Don't forget to buy all your gear at the best prices! Here's the camping map reference for camping here. You'll need OS Explorer map 22 to find all the best places to see! For example: put Aldridge Hill if you are looking to find information on the Aldridge Hill New Forest campsite and hit the Search button.